After months of rumors and teases, former Android boss Andy Rubin has announced the Essential phone. It's a slick device, built from titanium and ceramic, with a display that covers nearly the entire front panel. So, before we move to the Smartphone lets understand who Andy Rubin is? In one line if I say “he is the father of Android”. After an illustrious career developing some of the most innovative products in tech, he had all the wealth and accolades anyone could want. As an engineer at the Apple spinoff General Magic, he built some of the world’s first internet-connected portable devices. As CEO at Danger, he created the Sidekick, a Smartphone that defined the category before anyone had invented the term. And then, of course, Rubin created Android, the operating system found in more than two billion phones, televisions, cars, and watches. The Essential handset includes many modern Smartphone technologies, including a Qualcomm Inc. processor and a USB-C port for charging. Uniquely, it includes a magnetic connector on the back to connect to such accessories as a camera that takes 360-degree photos and a wireless charging hub, similar to Lenovo's Moto Mods. Without the attachment, the phone has an 8-megapixel camera on the front and a 13-megapixel sensor on the rear, according to Essential's website. The sides of the phone are made of titanium, which Rubin's company claims is impervious to scratches and dents. The back of the phone is ceramic and comes in black, gray, white, and a gold-like color called "Ocean Depths." The phone runs a version of the Android operating system with a customized user interface, while the Home device runs a custom system called Ambient OS. The phone, available for pre-order, will sell for $699, $50 more than an entry-level iPhone 7. 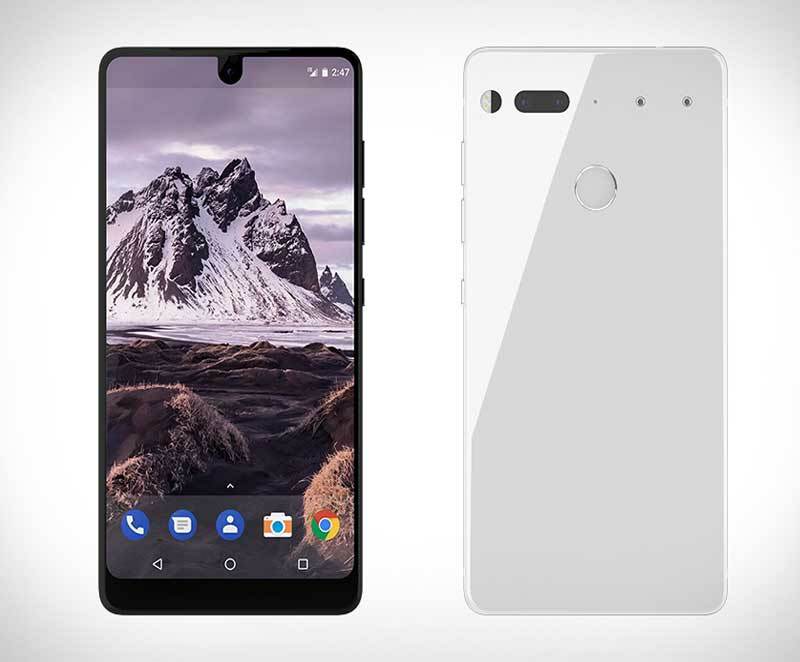 The handset will be available only in the US when it launches; Essential didn't say when it will ship or provide pricing for the home product. The PH-1 is fully stocked with the highest end specs you can find from what we can tell. You have an edge-to-edge front display that weighs in at 5.71-inches and with a QHD resolution. You get a Snapdragon 835 processor powering it all, 128GB UFS 2.1 storage, 4GB RAM, 13MP dual camera setup, magnetic connector to make the phone somewhat modular, and a premium body made of titanium and ceramic. And yes, it runs Android. Essential PH-1 seems to be a good competitor for Smartphone companies like Samsung, etc. Still, there's a lot we don't know about the Essential phone. It ships with an unspecified version of Android, with no clear commitment to routine software updates. One of the major things is, while the phone is available for pre-order now, it lacks a release date.